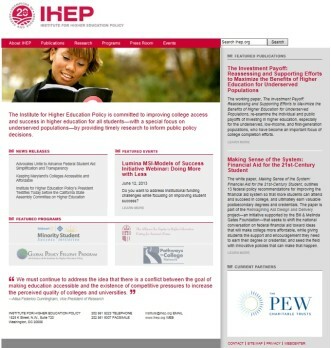 Worked closely with creative leaders, Design Army and Glows in the Dark, to design and implement the redesign of IHEP.org and its programmatic mini sites. Full website was launched Spring 2008. 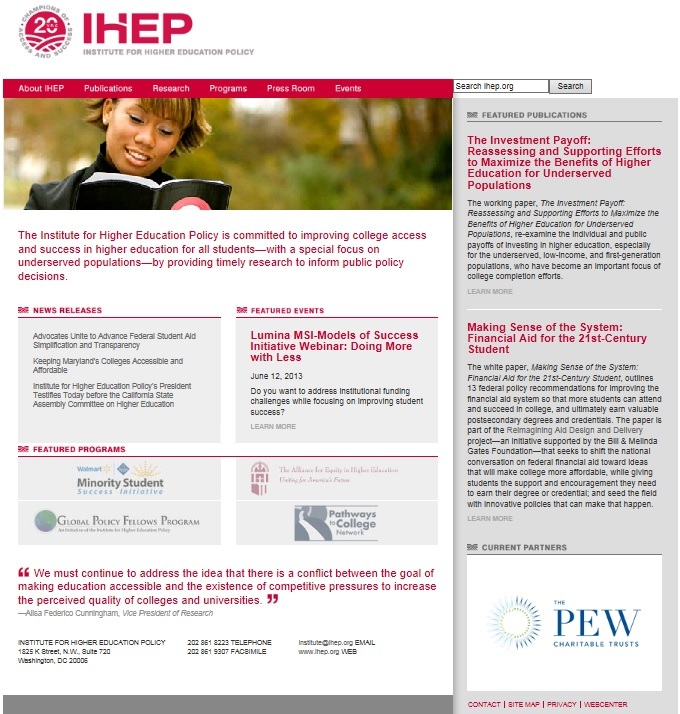 Case Studies further highlight communications success with the Institute for Higher Education Policy.